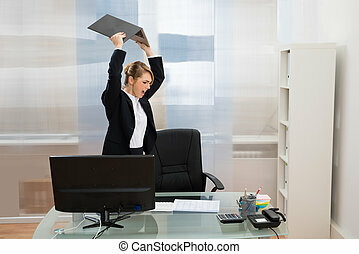 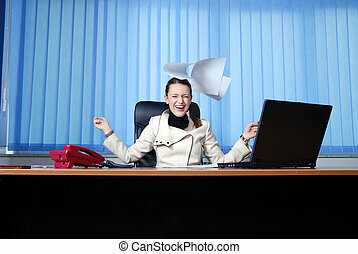 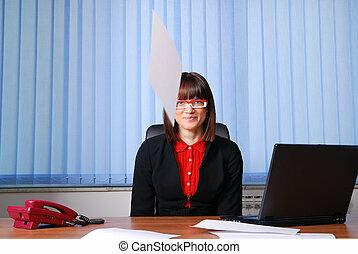 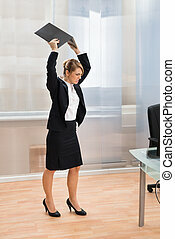 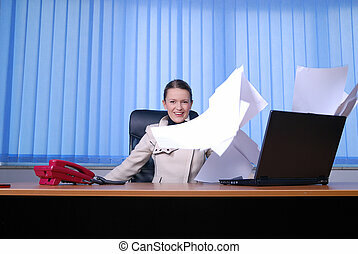 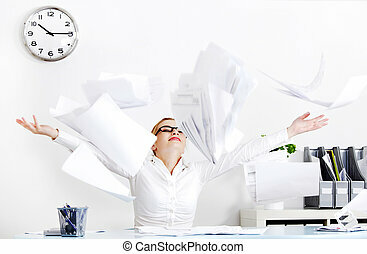 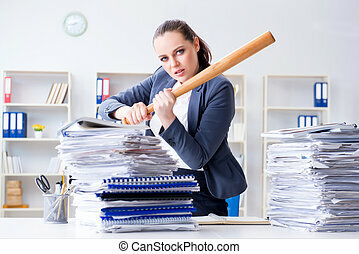 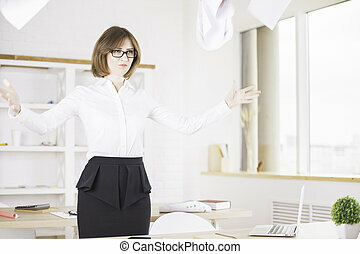 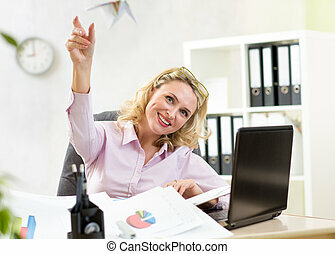 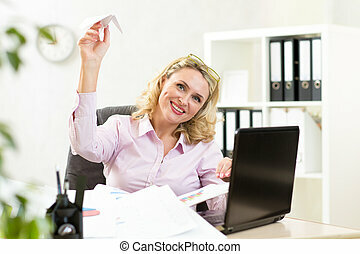 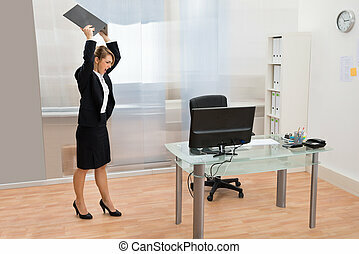 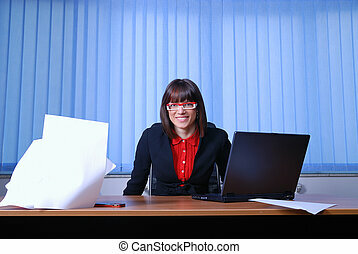 Angry businesswoman throwing paperwork in air. 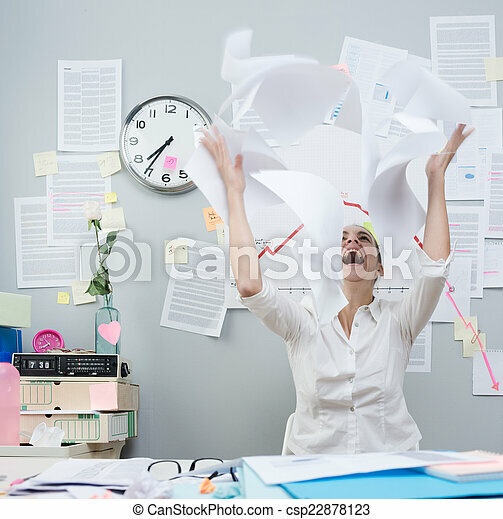 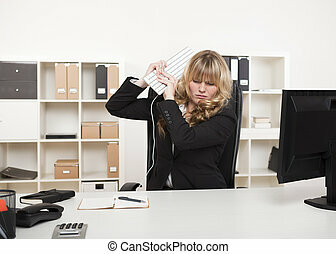 Angry businesswoman in office throwing paperwork in air and shouting. 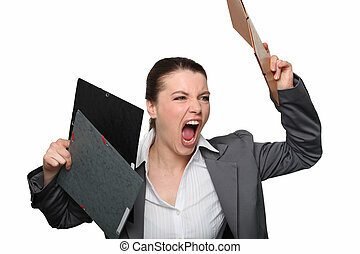 Angry businesswoman in office throwing paperwork in air and shouting. 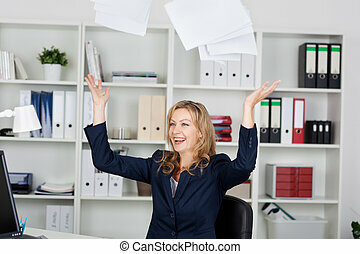 Young businesswoman throwing files in the air.